BND Business Brokers is a full-service intermediary company that assists in owner transfer of small to middle market businesses. Our services include buying, selling, mergers and acquisitions, and business valuation. 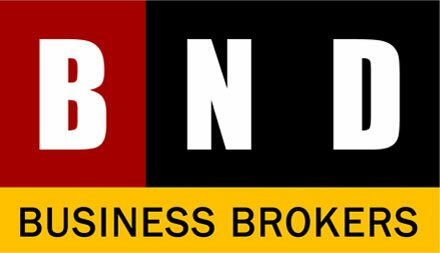 BND Business Brokers is a full service business intermediary firm specializing in the sale and acquisition of small and middle market businesses with emphasis on manufacturing, technology and distribution companies. We work with sellers and buyers to guide and advise them through the process using the principles of confidentiality and timing as key factors to obtain maximum transactional value. Our brokers are business owners that have the skills and experience to assist clients in all phases of the transaction. Services include business brokerage, mergers and acquisitions, business valuation, financing and real estate brokerage. Whether you are a seller, a buyer or an investor, our professional staff of associates is prepared to assist you. We will discuss your experience, interests, financial capabilities and life goals to help determine the right business for you. Valuation is the number one question of all of our sellers when contemplating a sale, and of course, the concern of most buyers when purchasing a company. Unfortunately, there is not one simple answer, and, actually, there are probably several answers. Why? How quickly can I sell my business? Each business is unique, so this is a difficult question to answer. Most business brokers agree that the process can take from six months to a year or longer. The most significant factors that impact sale are the type of business being sold and the price and terms offered by the owner. The earlier you start planning for a business sale, the better the likelihood of an outcome that meets the owner’s expectations. Can anyone guarantee that my business will sell? No one can guarantee a sale by a certain date or at a certain price. How do I know what price I should ask for my business? When you list a business with a business broker, you set the price for which the business will be listed. As offers are received, you decide whether to accept anything less than the price listed, so you will have control over the price you get. In presenting your business to potential buyers, it is vital that you have some way to justify your asking price. If you do not have a business valuation, we strongly urge you to consider getting one. Without some third party documentation, the sale of your business will probably be made using your business tax return. As your accountant will undoubtedly tell you, his function in preparing your return is to minimize your taxes, not to provide documentation for a business sale. Your tax return is probably not the document you want to use in negotiating the sale of your business. Why should I list with a business brokerage firm as opposed to a real estate company? Business sales are for business professionals and real estate sales are for real estate professionals. At BND we have some of the most experienced, successful commercial real estate agents and business brokers under one roof, so we are a perfect fit for anyone wishing to sell their property along with their business. Our team works together to ensure the confidential disposition of your building and your business so you don’t need to spend needless time and effort with two different sales companies. How do I make certain that my employees and customers don’t find out that I am contemplating selling? Our brokers are experienced at maintaining confidentiality. Prospective buyers sign confidentiality agreements before they even know the identity of a business.